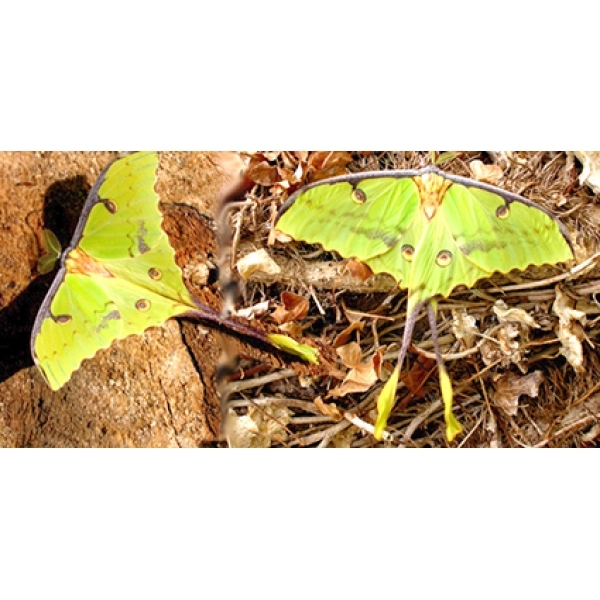 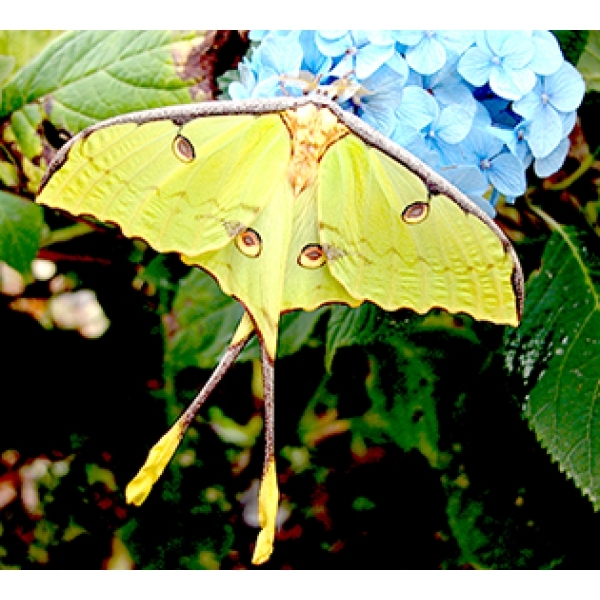 The moth is a miniature of the Giant Madagascan Moon Moth as a whole lot easier to breed! 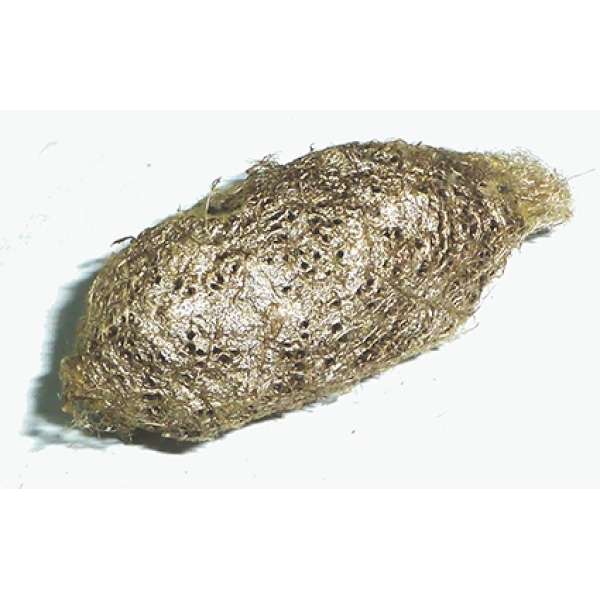 Spray the cocoons daily, keep at about 25 degrees C, or a little more, and they start to emerge as they do in the rainy season. Pairings are not automatic but not difficult. 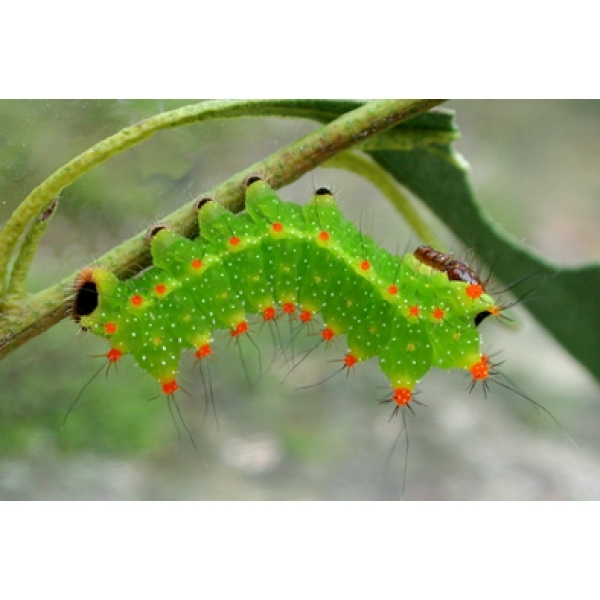 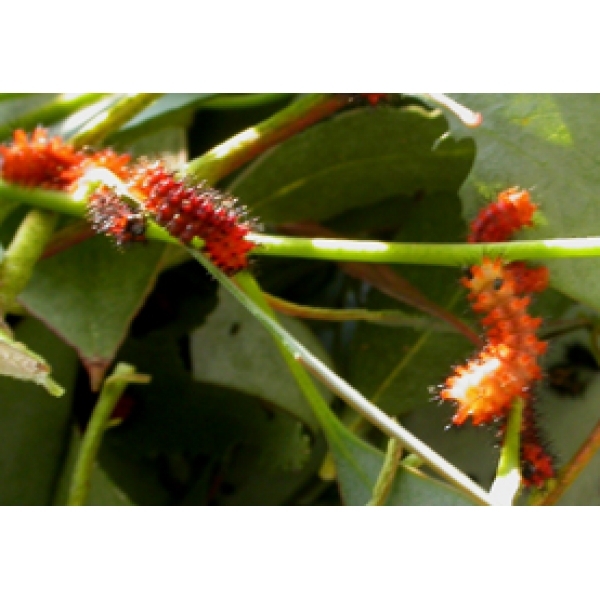 The larvae are most spectacular and they thrive on Eucalyptus, which is evergreen and therefore suitable for rearing in summer or winter. 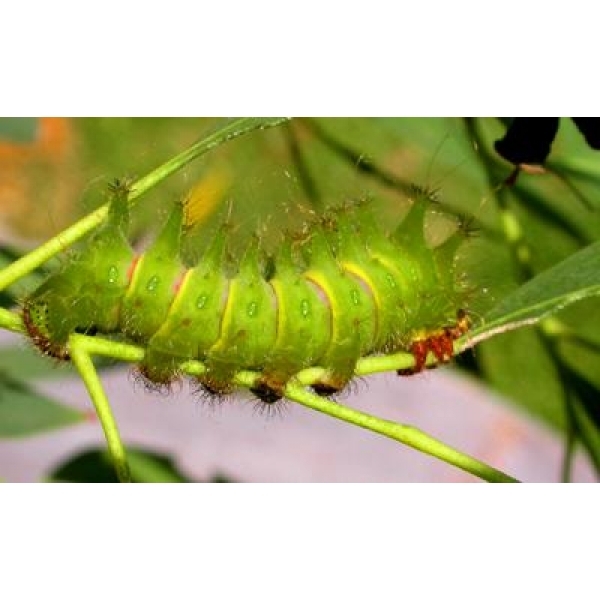 Other foodplants recorded: Liquidambar, Walnut, Sumac Rhus sp.